Starring David Jason and Nicholas Lyndhurst, the first ever episode of Only Fools and Horses was broadcast 30 years ago in September 1981. 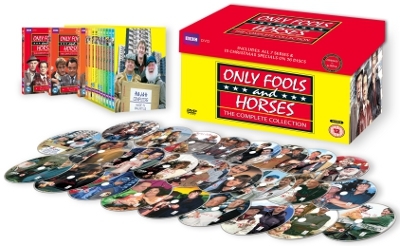 The story of market trader Derek Trotter and his brother Rodney (along with their family and friends – Uncle Albert, Boycie, Trigger et al) would continue through seven series and numerous special episodes. It left us with memorable moments of TV history, additions to the English language – and a series celebrated as Britain’s greatest ever comedy.